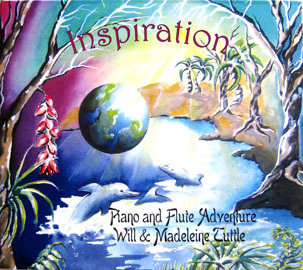 Beautiful tapestries of original piano music, animal voices and nature sounds blossoming from the soaring and soothing piano artistry of Will Tuttle. “AnimalSongs is the most emotive, compassionate, enlightened and planetary friendly album ever recorded. 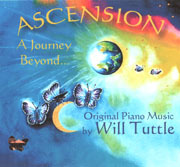 Will Tuttle's refined, poignant, dexterous, and prodigious piano skills and virtuosity resonate throughout this entire CD. These "Songs For Animals" are audio pleasures for liberating our fellow creatures from slaughterhouses and being hunted, and for spiritually saving planet Earth. His luminous, ethereal, and celestial piano masterpieces wondrously inspire our moral imperatives to reduce cruelty to animals, global warming, deforestation, pollution, and environmental decimation. 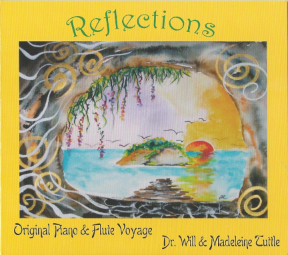 This wondrous CD emanates from Eden and Paradise and is the best CD in my 4000 CD collection! 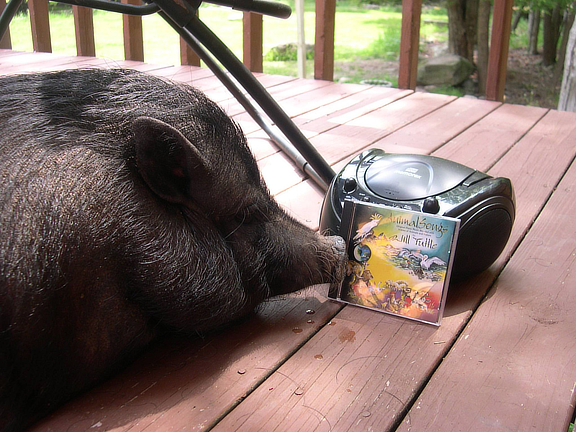 “If I only had one CD, it would be AnimalSongs. 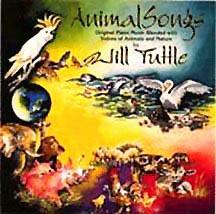 AnimalSongs is a powerful exploration of music, nature and our kinship with animals. The foundations of this hour-long album are Will Tuttle's twelve evocative new compositions for solo piano. Artfully adorned with the voices of anmals and nature sounds, AnimalSongs creates a listening experience unlike anything you have heard before! Besides pieces with the amazing voices of wild animals like dolphins, wolves, hawks and forest creatures, there are, for the first time, many pieces that showcase the remarkable voices of our old friends, the domesticated animals. This album, Will's fourth release, is truly music with a message of compassion, caring and celebration. The voices of our animal relations can be heard in a provocative new way and discovered by every listener in their own way. This rich and swirling tapestry reveals even more through headphone listening. Available as an hour-long plus CD, AnimalSongs will help you remember what matters and bring joy and meaning to your day.